Try this garlic flavored, spicy fish fry as a starter / main course; which I learnt from my friend Preethi Jothivel. 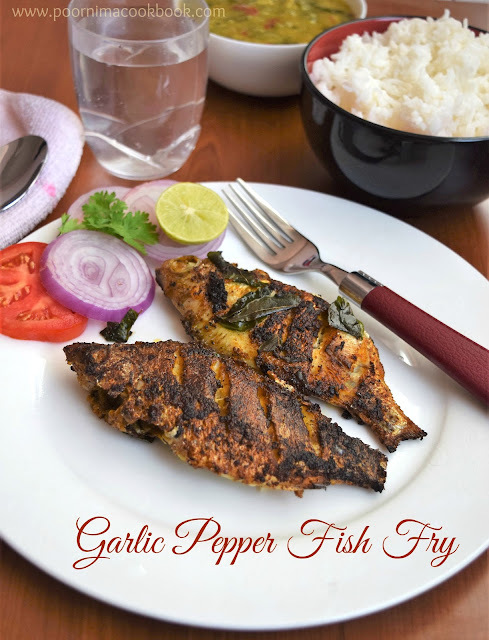 Though I used to prepare fish fry often; this base ingredient is different with all flavorful ingredients like garlic, pepper & fennel!. So I want to give it a try! Yummy! 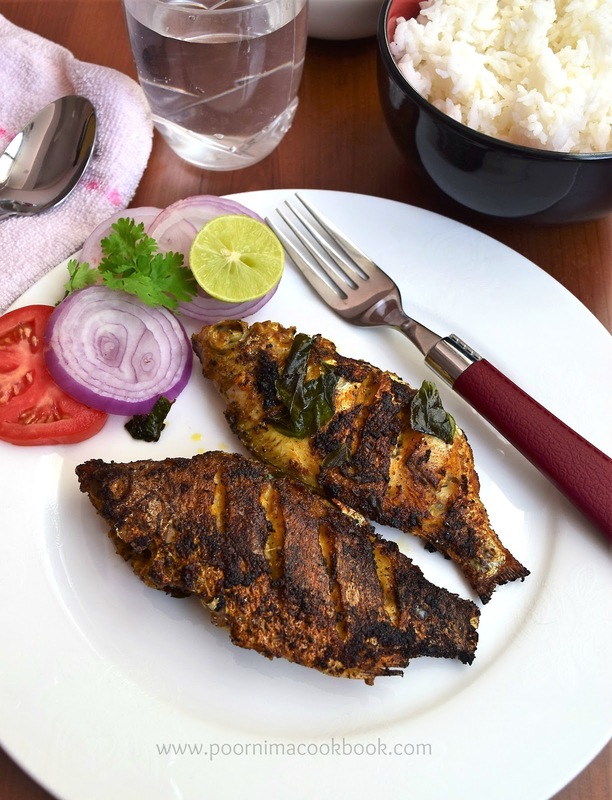 Thank you Preethi for sharing the recipe! Grind together garlic, turmeric powder, red chilli powder, fennel seeds, pepper, tamarind extract / lemon juice, salt and just enough water to make fine thick paste. Before frying, just add little corn flour over fish and apply it. 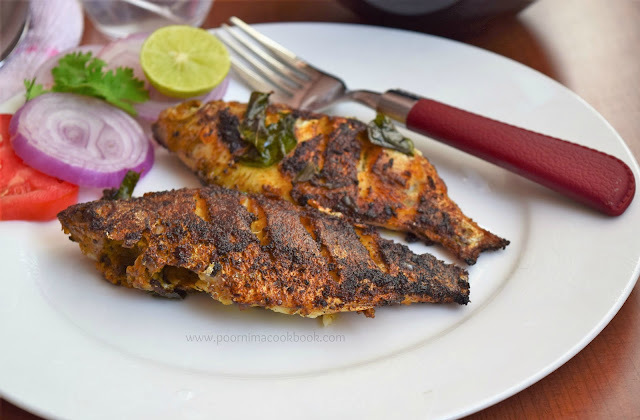 This recipe is suitable for any kind of fish. You can adjust the amount of pepper and red chilli powder according to your taste.